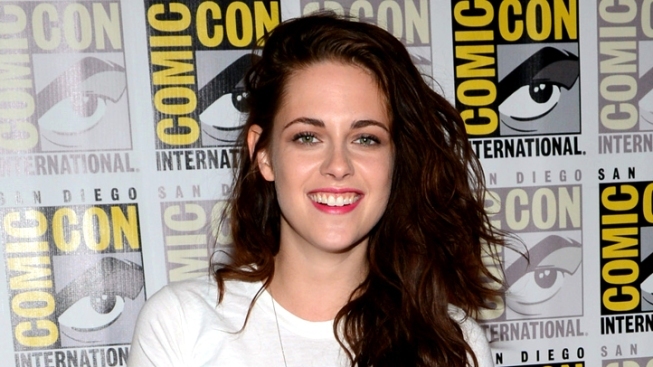 Kristen Stewart: Did She Just Nab Movie Role From Jennifer Lawrence? Kristen Stewart and Robert Pattinson: "We Will Work Together Again"
Stewart and Pattinson: "We Will Work Together Again"
Relax. Katniss Everdeen continues to be hers. But for Hunger Games star Jennifer Lawrence, it looks like she might be out of the running when it comes to another coveted role. Kristen Stewart has landed the lead role in an adaptation of William Styron's 1951 novel Lie Down in Darkness, Vulture reports. The Snow White and the Huntsman star will reportedly play Peyton Loftis, a young woman who finds herself part of an increasingly troubled family in 1950s Virginia. Scott Cooper, who directed Crazy Heart, will helm the project. While Lawrence had recently told W Magazine she was "obsessed" with the part of Peyton, her failure to get it may have come down to simple scheduling. After all, the actress will be pretty busy working on both the Hunger Games and X-Men sequels.